Last week looked to be a difficult one for Real Madrid and Santiago Solari. Los Blancos visited two of the league’s toughest grounds in one week. A midweek cup game against Barcelona followed with a trip to Atletico Madrid in the league three days after. Solari’s men earned a draw against Barca and thrashed Atletico to move second in the table, six points behind leaders Barcelona. The surprise team of the year has to be Huesca. Yes, they are still rooted at the foot of the table, but what a turnaround it has been for the debutants, winning three and drawing two from their last six matches. Eibar showed strength with a 2-2 draw over fourth-placed Sevilla last Sunday in Seville. Los Armeros, however, dropped a two-goal lead in that match after conceding two goals in the last three minutes. Jose Luis Mendilibar’s men face another stern test as they welcome an in-form Getafe team that is fifth on the standings. The visitors are fresh from a 3-1 victory over Celta Vigo and they will be full of confidence after Sevilla stumbled last weekend. A top four finish is something Getafe will target and a win here will put them in pole position. Every game is a must-win for the visiting team and 31/10 is great value. This won’t be an easy one, but back Getafe to grind out a victory. Celta Vigo host Levante in a low-profile La Liga fixture to kick-start the Saturday matches. Both teams will enter the fixture with low confidence, however, the visitors have enjoyed a slight upturn in form. Three points separate these sides at the bottom of the table with Levante on 14th and Celta on 16th. Head-to-head statistics point clearly towards Celta Vigo after they have won all their five previous meetings with Levante convincingly. Despite what the stats say, Celta cannot be trusted based on their current form. Back Under 2.5 Goals at 23/20. Michel managed to turn Vallecano’s fortunes around in spite of a super complicated schedule over the past couple of weeks. Prior to back-to-back defeats, Rayo had picked up 13 points from a possible 15. That run has left them one point of the drop zone and their fans are now starting to believe they can survive. Atletico Madrid, on the other hand, have dropped to third after suffering back-to-back defeats. This is a difficult time for Diego Simeone who has a crucial Champions League game against Juventus midweek so resting players can be a bit of a risk especially with Real Madrid flying high in the league. I’ll be bold and back the draw here at 24/10. Real Sociedad have been blowing hot and cold this season, dropping points at home against teams like Huesca but winning convincingly against teams like Real Madrid away. We never know what to expect from this team and the surprises keep on coming each gameweek. Leganes were convincing winners on matchday 23 after they beat Real Betis and making it back-to-back wins. These sides know how to score against each other with three of the last four fixtures seeing both teams finding the back of the net. As the form suggests, back Both Teams to Score at 23/20. Barcelona’s advantage at the top of the La Liga table was reduced down to six points after a shocking pair of draws against Valencia and Athletic Bilbao. The Catalans simply need to bounce back on Saturday against Valladolid in order to stay at the top of the standings. The 0-0 draw against Bilbao ended Messi’s scoring run of eight straight La Liga games. With Real Madrid back in the title race, Barca know that this is a must-win game. Back the champions to win at Half-time at 9/20. Real Madrid overtook Atletico Madrid in second place of the La Liga standings and came just six points short of leaders Barcelona. This is all thanks to Santiago Solari’s magnificent run of eight wins and a draw in the last 10 matches in charge. Last week was probably his toughest as Madrid’s head coach, visiting the Camp Nou and the Wanda Metropolitana and he avoided defeat in both matches. Los Blancos are back to being a top team we all know them to be and everyone now fears them. Back the European Champions on the (-1) Handicap at 5/10. Mid-table rivals Valencia and Espanyol are set to lock horns on Sunday afternoon at the Mestalla. Neither side come into this game in exceptional form. The hosts come into this game from three consecutive draws against Barcelona, Real Betis and Real Sociedad. Two of these three affairs ended in 2-2 draws. Valencia have been the drawing kings of Europe with 13 stalemates from 23 matches. However, Valencia should still be too good for Espanyol at home. If any team deserves to be called the bottlers of La Liga, it is Sevilla. 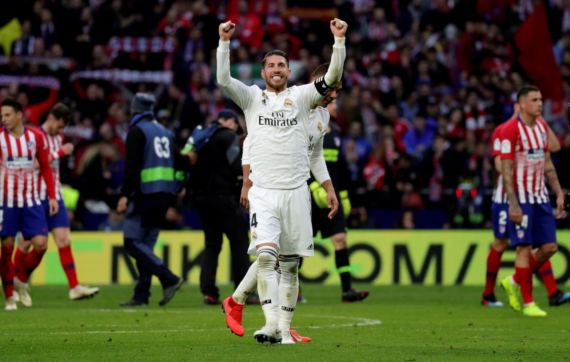 After beating Real Madrid convincingly, drawing with Barca and thrashing the smaller teams, occupying the second spot for most of the season, the team suffered defeats against Celta Vigo and Athletic Bilbao and drew with the division’s strugglers. Sevilla are now languishing in fourth, two points above fifth-placed Getafe. The Yellow Submarine have been dreadful this season and by the looks of things, they are Segunda bound. Villarreal have won the least games this season with only three wins from 23 matches. It’s hard to back either team on current form, so I’ll back Both Teams to Score at 6/10. Alaves are finding it difficult to win games recently. They have lost three consecutive league matches, winless in their last four. Less than two goals were scored in those matches and they conceded in all those games. Real Betis are untouchable at home, winning six and drawing three of their 12 games with back-to-back wins against Girona and Atletico Madrid. These sides are tied on 32 points and a win here will bring them closer to a UEFA Champions League spot. Back Real Betis to make it three home wins in a row. Huesca earned themselves a glimmer of hope with arguably the best performance of the season when they destroyed Valladolid 4-0 in front of the home crowd. The debutants backed it up with another convincing win against Girona, winning back-to-back La Liga games for the first time ever. Huesca have been fairly decent since the start of the year with three wins and a draw from their six outings. Athletic Bilbao’s impressive run continued when they held log leaders Barcelona to a 0-0 draw last week. Bilbao can easily say they are now safe from relegation after the big turnaround and during the impressive run, they thrashed Huesca 4-0 in both legs of the Copa del Rey. Back the visitors at 29/20.